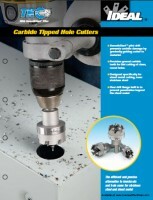 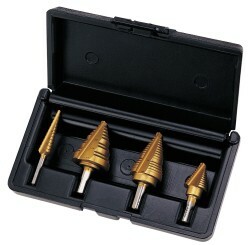 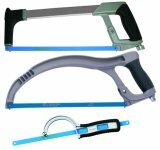 TKO Carbide Tipped Hole Cutters - Faster than Knockout Punches! 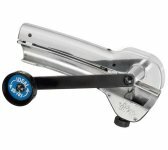 Introducing the new TKO™Carbide Tipped Hole Cutters from IDEAL INDUSTRIES, INC.
TKO cutters offer the most efficient and clean cutter replacement for traditional knockouts, by making smooth holes in a fraction of the time at a fraction of the cost. 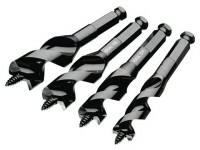 Specifically designed to cut sheet metal, TKO cutters will even cut stainless steel with fine grained, carbide tips. 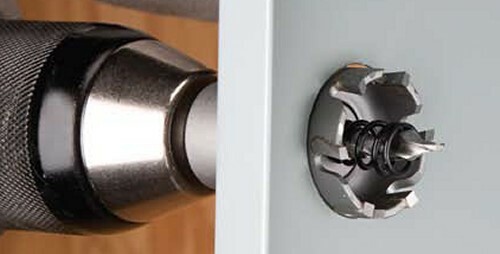 The innovative design includes the exclusive SmoothStart™ replaceable pilot drill, which guides the cutter to the surface, avoiding cutter damage and providing smoother holes. 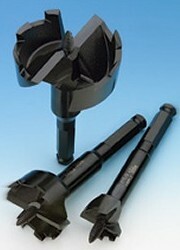 An integral overdrill flange prevents cutter penetration beyond the sheet metal. 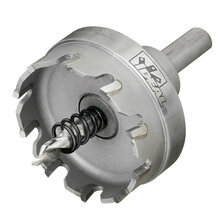 When it comes to quality, performance and durability, IDEAL is the professional’s choice for carbide tipped hole cutters. 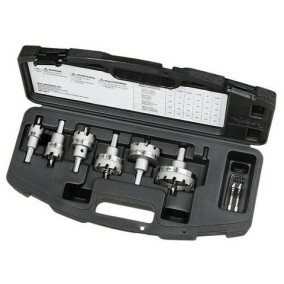 7/8", 1-1/8" and 1-3/8" - (1/2", 3/4" and 1" conduit sizes) along with a spare SmoothStart™ pilot bit and a convenient carrying case. 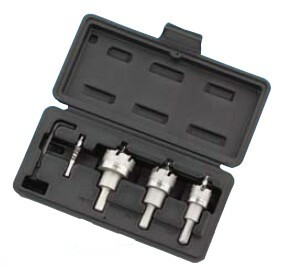 7/8", 1-1/8", 1-3/8", 1-3/4", 2" and 2-1/2" Hole Cutter Bits - (1/2", 3/4", 1", 1-1/4", 1-1/2" and 2" conduit sizes) along with 2 spare SmoothStart™ pilot bit and a convenient carrying case.